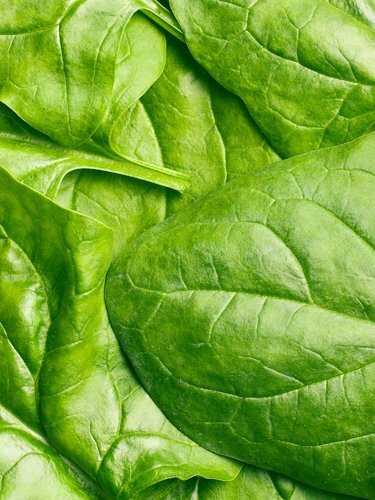 Spinach became a popular vegetable in America and in the 1920’s the U.S. pushed spinach commercially, with the Popeye the Sailorman cartoon becoming a great advocate for spinach consumption. Spinach is eaten raw in salads and also as a cooked green much like turnip greens or collard greens. NJ ranks 3rd in the nation in production of spinach. Loosely wrap spinach in damp paper towel. Refrigerate in plastic bag for use within 3-5 days. Fat free; saturated fat free; cholesterol free; low calorie; high in dietary fiber; excellent source of fiber; high in vitamin A; high in vitamin C; high in iron, high in folate; good source of magnesium.